Exercise is important for everyone. It is also important to have the right equipment and gear while we work out, especially as women, some accessories can save a whole lot of hassle from happening. 1. A hair tie. This is probably one of the most important things if you have long hair. 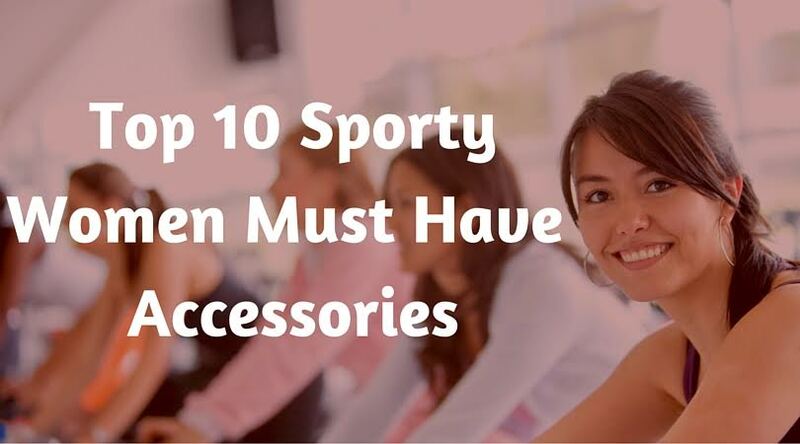 A hair scrunchie will keep your hair out of your face, eyes, and mouth as you exercise. There is nothing worse than doing yoga, running, or bench pressing and constantly having to stop to move your hair. 2. A leotard. By wearing a leotard with leggings, or a leotard that has shorts, you will keep all of your flexibility and not have to worry about being hindered by clothing not stretching and moving as you move. 4. Something to play music on. Music is a great distraction so you won’t be completely focused on how exhausted you get. 5. Headphones. This ties in with number 4, as you don’t want to blast your music so everyone else can hear it. It’s polite to keep your music to yourself, no matter how good it is. 6. A scale. This also seems a little obvious, as if you want to measure your weight loss, you will need a scale to check your progress. Keep in mind that muscle weighs more than fat and you’ll retain water when you first start working out. 7. Jumping rope isn’t just for children. It helps with your vertical jump as well as being great cardio. A good old jump rope is a great way to get your heart pumping and warm all of your muscles up. 8. Sweatbands are great. Their name is pretty self-explanatory, as they will keep the sweat from running down your face or into your eyes. Sweat in your eye can really burn and ruin your whole mojo. 9. If you have problems with your knees or wrists, you’ll want to have either your knee braces or wrist braces on. Especially if they aren’t strong already. 10. There are a lot of girls that can lift some really heavy weights, and if you do deadlifts or squats with heavy weights, you’ll want a weight belt to go along with it. A weight belt will keep your organs safe and inside of your body while you’re lifting. Author Bio: Niki is a graduate in Electronics and Communication. She is passionate about writing on technology, electronics and fashion. Currently she blog at Bestoninternet.com.